In this 2013 winner of the prestigious R.R. Hawkins Award from the Association of American Publishers, as well as the 2013 PROSE Awards for Mathematics and Best in Physical Sciences & Mathematics, also from the AAP, readers will find many of the most significant contributions from the four-volume set of the Collected Works of A. M. Turing. These contributions, together with commentaries from current experts in a wide spectrum of fields and backgrounds, provide insight on the significance and contemporary impact of Alan Turing's work. Offering a more modern perspective than anything currently available, Alan Turing: His Work and Impact gives wide coverage of the many ways in which Turing's scientific endeavors have impacted current research and understanding of the world. His pivotal writings on subjects including computing, artificial intelligence, cryptography, morphogenesis, and more display continued relevance and insight into today's scientific and technological landscape. This collection provides a great service to researchers, but is also an approachable entry point for readers with limited training in the science, but an urge to learn more about the details of Turing's work. 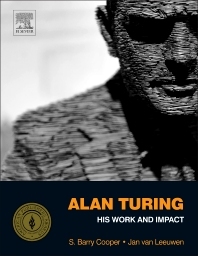 Researchers and scientists interested in the context and significance of Turing's impact on artificial intelligence, artificial neural networks, morphogenesis, cryptology, the philosophy of mind, mathematics, computing, computer science, informatics, morphogenesis, philosophy and the wider scientific world. Part I. How Do We Compute? What Can We Prove? Paul Smolensky asks a key question — Cognition: Discrete or Continuous Computation? Can Digital Computers Think? : Intelligent Machinery: A Heretical Theory: Can Automatic Calculating Machines Be Said To Think? Barry Cooper is Professor of Mathematical Logic at the University of Leeds. A graduate of the University of Oxford, his research follows that of Alan Turing in its focus on the nature of mental and physical computation. 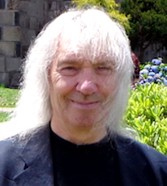 Author and editor of numerous books, including Computability Theory, New Computational Paradigms, and Computability in Context, he is a leading advocate of multidisciplinary research at the interface between what is known to be computable, and theoretical and practical incomputability. For more information, http://www1.maths.leeds.ac.uk/. 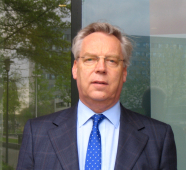 Jan van Leeuwen is professor at the Department of Information and Computing Sciences at Utrecht University. He received a Ph.D. in mathematics in 1972 from the same institution. After having held several positions in computer science in the US, he returned to Utrecht as a faculty member in 1977. He was head of department from 1977 to 1983 and from 1991 to 1994, and served as dean from 1994 to 2009. His research interests extend to many branches of the theory and philosophy of computer science. He is a member of the Academia Europae, is the first recipient of a Distinguished Lorentz Fellowship Prize in the Netherlands, and holds an honorary doctorate from RWTH Aachen University. For more information, http://www.cs.uu.nl/staff/jan.html.